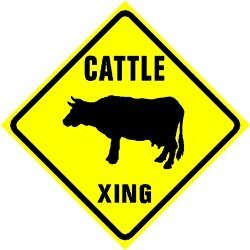 Posted on September 11, 2018, in Life, Wisdom and tagged #avoid, #blessings, #Cattle, #CattleCrossing, #challenge, #choice, #Cow, #crossing, #damage, #difficulty, #disaster, #experience, #heartache, #hiddenplace, #ignore, #Imagine, #insight, #knowledge, #ourownrisk, #outofnowhere, #pain, #posts, #proceed, #reason, #reflections, #reminds, #Seriously, #sign, #sloweddown, #suffertheconsequences, #tremendous, #trust, #waiting, #warning, #warningsigns, #wisdom, #wreckedlives, #www.thewannabesaint.com, @BrianLoging, Writings. Bookmark the permalink. Leave a comment.